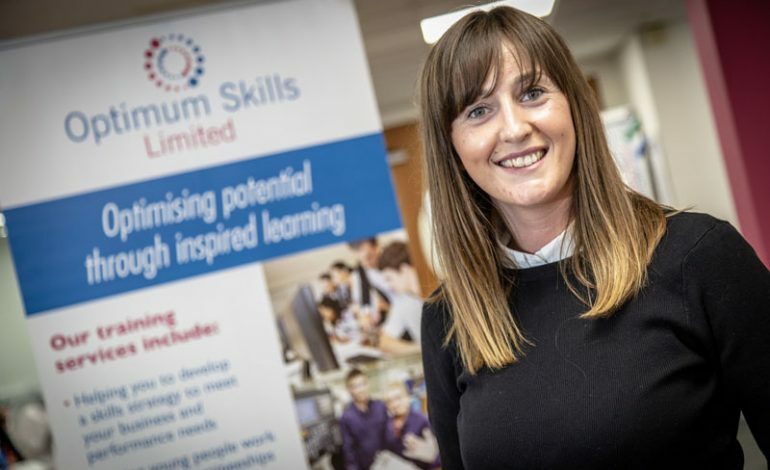 A growing Aycliffe-based training and apprenticeship provider has grown immeasurably since launching just over five years ago after delivering sustained results for employers. Optimum Skills was set up in November 2013 with a handful of staff and now employs 37 people from its premises at Bede House on Aycliffe Business Park. The firm works with businesses across the North-East region and specialises in niche areas of training, and is passionate about helping young people with little work experience progress into Apprenticeships. Optimum offer fully-flexible traineeship programmes to ensure that trainees have the right skills and knowledge to meet the requirements of industry and that businesses gain employees who have established workready skills and knowledge. The 14-week programmes enables young people to learn vital life skills and to prove themselves to employers that they have the attitude and qualities to progress into Apprenticeships. The traineeship programme includes skills and personal development on social media etiquette, health and wellbeing, understanding mindset, team working, effective communication skills, dealing with conflict, emergency first aid, among others. Trainees benefit from employer talks from different industries, they visit employers, and the programme also has a huge emphasis on health and wellbeing, where external organisations will visit the groups to talk around the support they can provide around mental health, sexual health, stress management, healthy eating and smoking cessation. Client relationship manager Sarah Porteous is passionate about finding the right young people for businesses and ensuring the young people progress into areas that best suit them. 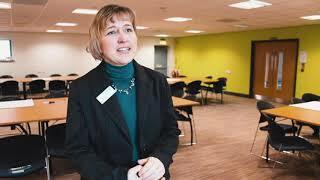 Sarah is the driving force of the programme and ensures employers and trainee’s skills are matched. The 33-year-old originally trained as an actress and studied at London Drama School for three years before returning to her native North-East to set up her own theatre company, using the arts to engage with ‘NEETS’ and found her vocation. “I can see the value of traineeships for the young people who maybe haven’t been given great career advice or don’t know what they want to do,” says Sarah. “Our programmes allow trainees to explore their strengths and aspirations, we believe our programme allows them to switch on their life bulb. “We’re all rounded individuals with lots of different talents, but businesses can waste a lot of time and money trying to bring the right people into their companies. “We find what they’re good at, what their passion is and match that to employers. “The question I always ask employers is ‘how did you start out?’. You tend to get a variety of answers to that question, but it’s about reminding people the importance of giving young people opportunities. “We’re bridging that gap between the trainee and employer by introducing them to businesses in the sector they have a passion for. “It allows employers to grow, by bringing people in they can mould and shape into their own operations. “The traineeship programme provides many opportunities to switch on the aspiration of the trainees, for instance, we had a visiting butcher recently who trained with Jamie Oliver that came and talked to the group and the amount of enthusiasm this generated was priceless. The traineeship programme has constant opportunities for employers and learners, with new programmes starting regularly. To find out more about Optimum Skills and their services, visit optimumskills.co.uk, email [email protected] or call the team on 01325 311 832.